Today I am going to share something very close to my heart. It honestly goes back to one of the main reasons I am such a cheerleader for Healthy Chocolate. 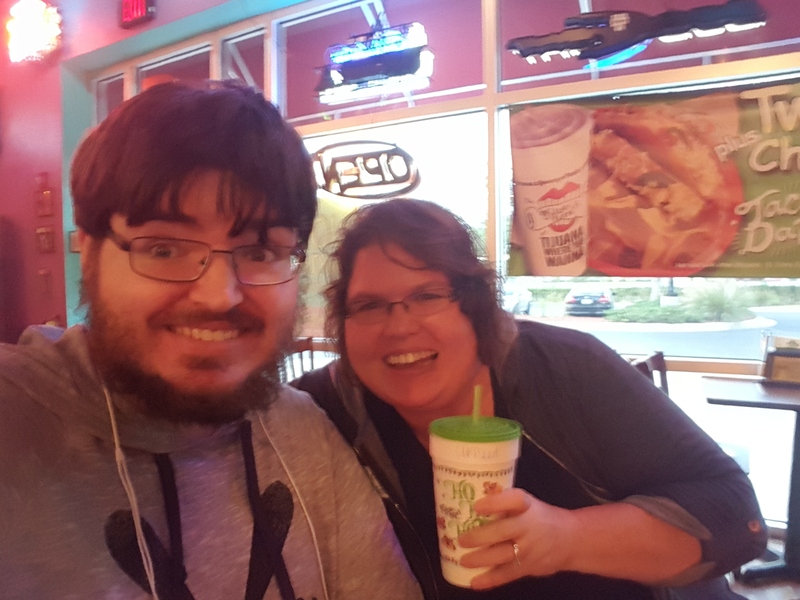 I could talk for days about how much Beyond Chocolate has helped me personally and my family but honestly when our oldest son started showing symptoms of autism, it was incredibly difficult for our entire family. Years ago doctors were not that great about diagnosing autism. They were quick to label him as developmentally delayed and with attention deficit disorder. (ADD) I know, everyone says ADD and ADHD are over diagnosed. I used to be one of those parents that believed that until my son had extensive testing that showed he was only hearing 1 or 2 words in a complete sentence because he could not focus. There was more going on than just ADD and developmental delays however for years that is all the doctors ever mentioned to us. Annually we would follow-up with the neurologist for other health issues and one day in conversation they talked about autism like we already knew our son was autistic. But we had no idea. I hope parents today are seeing children diagnosed at an earlier age. Physical, speech and occupational therapy can make a huge difference, but there really is a window of opportunity when they are young where they can make significant strides with therapy. And, that is the reason I hope younger children are diagnosed and get services much sooner than our family did. As your child goes through the public school system, hopefully they will have an IEP. This Individualized Education Program is an important legal document that gives your child the right to an appropriate education and services they need to learn. If your child is currently in the public school system, has autism or special needs it is very important that you don’t allow the school district to tell you that all you need is a 504 plan. A 504 plan will list accommodations that your child may need in school, however it does not carry the legal protections that an IEP offers. So fight for the IEP and your childs rights. We need to be realistic and know that the school district alone cannot simply “fix” your child. They will do their best to help your child reach their potential of course but we as parents have to do our part. Not really sure fixing is the answer. I love how my son keeps me focused on fun and Walt Disney World. I can’t imagine life without him so fixing just seems wrong. Lets just say everyone deserves the best quality of life possible. We certainly tried to do that with gusto. We tried everything until it wore our family down so much that I started having my own personal health problems. Being your childs advocate is difficult work. The life for parents and siblings of an autistic child can be quite challenging. In fact the life for parents and siblings of an autistic family member takes a toll on everyone. I love my son more than life itself, but I am being brutally honest here. If you are a parent of a child with autism, you understand. I am going to share a very difficult time in my life. My son was over 18 and got frustrated as happened often. The police knew us well. Our neighbors knew the situation. Even my mother was afraid for my life. These are scary things for families to deal with. One day when my son was frustrated, he pushed me in the driveway. Not because he was evil or mean, but because he was frustrated and did not know how to deal with it. After the episode, he is terrified and upset with himself as well. He is a good kid. They all are. But during this specific episode, when he pushed me, I flew in the driveway breaking my right shoulder, left arm and hurting my knee. I am screaming out in pain, my other children come outside and I remember the terrified look on their faces. I tried to calm down for them but the pain was killer. Check out my youtube story here to hear about this in detail. You may find out when your child becomes an adult that resources for them are very limited. The bottom line is that we have many adult children who have completed public school and are not able to work, living at home with their parents. I don’t mean to scare you, but don’t assume that your child will not act out or get frustrated and exhibit dangerous or concerning behavior. When our son was younger it was easier to control him. As he became a teenager, the changes with hormones seemed to cause a significant issue. Talking to parents, this really is the point in time when things come to a head. I want you to know there is hope. I am sharing this with you because it has made such a difference in our family. I want you to see the same benefits and avoid the volatile mood swings that so many experience as the children get older. My son was taking medication to help control his moods when the episode happened. I was not one of those natural moms who refused to give my son prescription medications. I researched everything and made what I thought was the best choice. That really is all we can do as parents. I wish someone had told me that changing my sons diet could make a difference. So I am telling you what I wish I knew when my son was younger. Diet does matter! The problem of course is that a family that is already struggling because of the autism in the first place now has to figure out how to cut out all processed foods and make everything from scratch and so much more. All while dealing with struggles I can’t even go into in one simple blog post. The thing is this, I simply changed his breakfast. Eventually over the years we cut out processed foods and really try to eat better but honestly, the one thing that made the most difference by far, is a protein shake I give him every morning for breakfast. That is doable. It takes a few minutes to make it. And, it tastes good so they will actually drink it. If you get nothing else from my post, know that chocolate shake works. Healthwise it offers more antioxidants and flavonoids than any other shake I have found on the planet. It also is a great source of protein. I got buy-in from my son because we both started the shake at the same time. It was our special thing! And of course we had a special cup that we went and picked out to have the shake in every morning. Talking to some other parents, this helped. It has been over 7 years of having this shake and my son and I still have it to this day. Years ago I would have never thought we could vacation as a family but now we bring our shake and blender with us when we travel to Walt Disney World in Orlando and even on a cruise. I do find that making the shake with a frozen banana and a little peanut butter, 1 cup ice and 2 scoops of the shake is popular with the kids. My son and I now make our shake with 1 cup unsweet vanilla almond milk. You can literally pour it in a shaker cup and blend if you want it super quick. I don’t know what you are spending for breakfast, but if your child is still young, one bag of this shake will last you 28 days. One bag of Beyond Chocolate Shake runs $75 shipped.I think that is pretty affordable but right now you can save an extra 10%! Any new customer will pay just $67.50 shipped when they use coupon code “shake”. Offer will end at midnight on March 16 so now is a great time to try out the shake at a fantastic price!!!! Now if your child is larger or an adult like mine, I truly believe you want to make your shake with two scoops instead of one for younger kids. All of the results my son has experienced are based on a two scoop shake. To have two scoops every morning for breakfast, you will need two bags of the shake per month. One really great thing is that when you order on subscription, every third month for the first year you get free product equal to what you spend monthly. It is a great way to get some free healthy chocolate for the family or more of the protein shake. Trust me, I know about all the medical expenses you are incurring and that another expense is not ideal. I know, I have been there. But honestly I would not waste my time or your time talking to you about something as important as this if it did not make a big difference. It has changed our lives. Sure my son is still autistic. Sure he is. But his outlook on life is greatly improved. His quality of life is different. We have hope for his future and ours. If you are a family dealing with autism, feel free to contact me. I would be glad to share how this has helped us. If you like me are experiencing a benefit and know you need to share this with the world, contact me and I can help you get started. Even our customers can earn free product by sharing it with 3 other people who order. When they order monthly, you get free product monthly. You just pay shipping and tax if it applies in your state. I am Lynette Henk of Three Sons Marketing LLC. After seeing firsthand how this helped our family, I became a cheerleader of sorts, a promoter, for these amazing Well Beyond products. 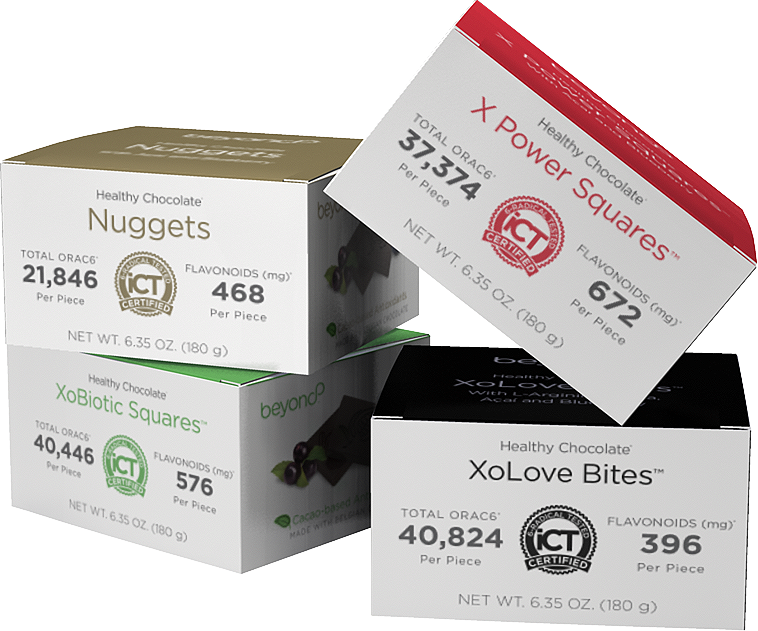 Everyone I know has benefited from these high antioxidant chocolate products including me and now I get paid to share the health benefits. I am excited to see that Kathy Ireland has been talking about our products as well. She even said, “I love you guys. You make eating healthy taste great.” on the set of her show Modern Living With Kathy Ireland. Visit my site at HealthyChocolateFix.com or call me at (941) 216-5727. I am here to help. There is hope! PreviousWell Beyond Healthy Chocolate Featured On Modern Living With Kathy Ireland TODAY! NextKathy Ireland Says Well Beyond Chocolate Makes Being Healthy Taste Delicious! Has Your Family Struggled With The Effects Of Autism, Aspergers, ADHD or ADD Like Ours?